Butter a large bundt cake pan and sprinkle a little flour over the top. Combine all the dry ingredients including orange zest. Whisk all the wet ingredients and add to the dry. Mix until smooth. 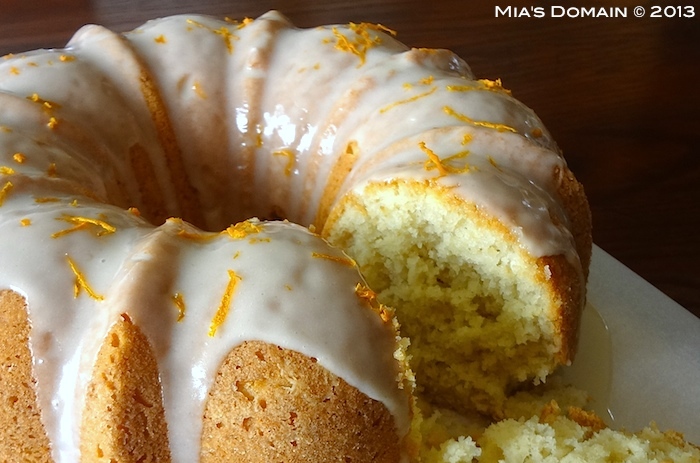 Pour into the bundt pan. Bake for 60 minutes or until a stick inserted into the middle comes out clean. Remove f rom the oven to cool completely in the pan before turning out. Combine yogurt and orange juice. Beat until smooth. Pour on top of the cake followed by orange zest (refer to the picture).